EDIT: Giveaway is officially over. Congratulations to Sara Wagner Goodhind for submitting the randomly-chosen 842nd entry. Although I don't mind Santa's reindeer arriving in stores already, their non-flying kin need to stay away from the road. Now that it gets dark so early, deer make driving home from work more dangerous! They're beautiful creatures, but I definitely prefer them from a distance. Like as the inspiration for Christmas jewelry. 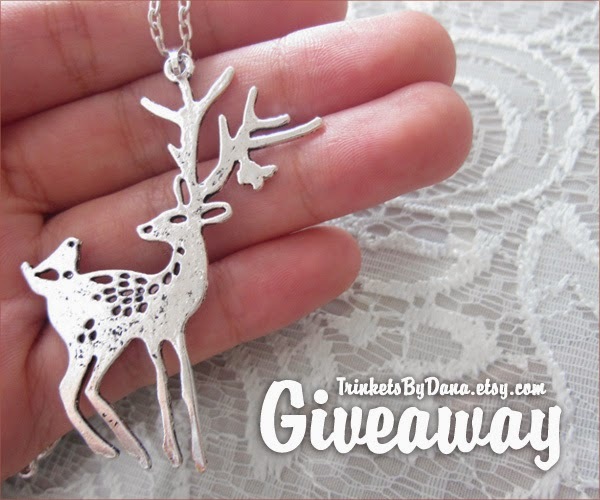 Trinkets by Dana is getting in the holiday mood by giving away an elk necklace. The simply stunning winter accessory features a silver-plated pendant on a 22" sterling silver chain that closes with a lobster cable clasp. But if you're not ready to say goodbye to autumn yet, don't worry! The lucky winner will also receive an orange leaves photography print, which I featured as a Wordless Wednesday photo. That's right, in addition to being a jewelry, origami and watercolor artist, Dana is a fine art photographer! Use the Rafflecopter below to enter to win worldwide giveaway before 11:59pm EST on December 15, 2014. Be sure to leave the mandatory comment on the blog post with the same name you use to fill out the Rafflecopter - all entries by winner must be easily verified or a new winner will be chosen. a Rafflecopter giveaway Disclaimer: The featured seller (not the hostess, Aquariann) is responsible for providing free prize. 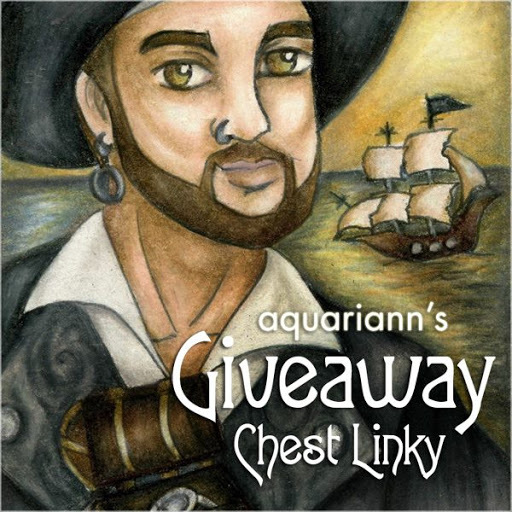 Promote your handmade jewelry in a whimsical way by sponsoring a giveaway, too. is this the mandatory comment area? Yes, it is! What's your favorite photo? I love the Brown Eyed Ladies by Dana Oh. That picture is gorgeous! My favorite photo is "Gravity has no hold on me". I like the one entitle Abigail (peachy filter effect of baby's breath & a guitar). Stunning! So many wonderful pictures - great talent! This is one of my favourites: the helleborus with the dew drop & sunshine. I have them in my garden & love them! Love the string of heart lights photo! I really like the Brown Eyed Ladies by Dana Oh. Thanks for the chance! I love the Fox. Cute! I like the A House is Still a House photo. Mr Fox is soo cute! I like Love Connection by Dana Oh. I love the Mr Fox in the glasses! The fox in glasses is adorable! I like autumn leaves. The title of the photo was pretty clever too. I love the Jelly Dance photo. I love the blue jellyfish photo, PB and Jelly. I like the Mr. Fox picture. So cute! FYI: I am entering as Angela Lilly via my Facebook account in the Rafflecopter form! I like the fox with glasses. I can't decide if I like Mr Fox or Skyfaring best. I like the bluebird too! I love the fox with the glasses. Too cute! My daughter would love it. She is obsessed with foxes! I like skyfaring. So pretty. 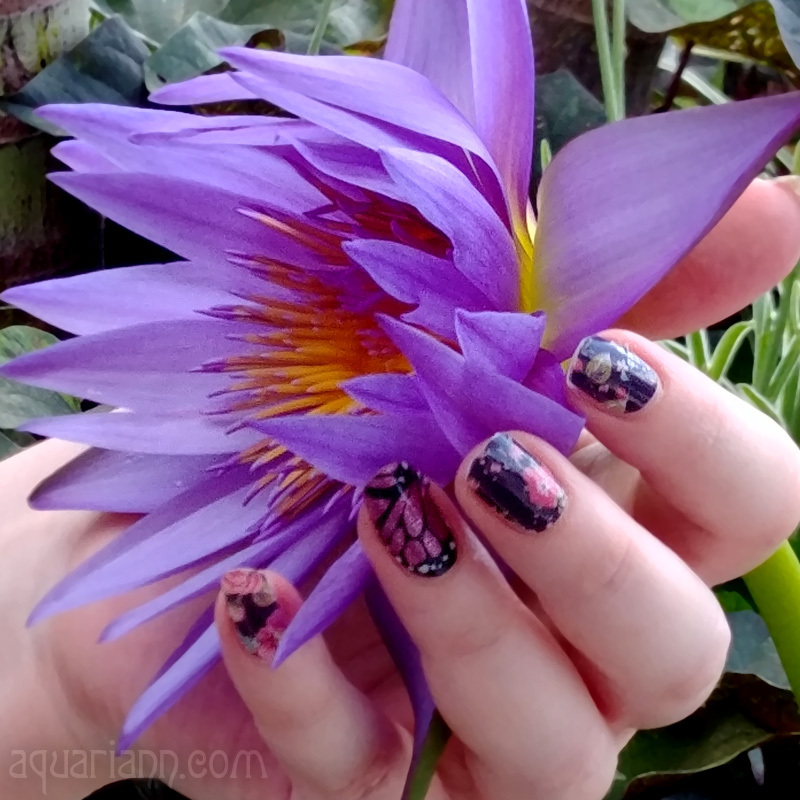 On the WW post, I love the colors of the photo, and how the leaves look like waves from a distance,. Sorry if there are typos. My favorite is Peacefulness! So pretty!! PB and J is my favorite! I love jellyfish, in fact, I have a large jellyfish tattooed on my shoulder. I loved the photo so much, I reblogged it to my own tumblr (I'm bustycoworker). My favourite is Living on the Edge. I like the beautiful Blue Jay on the tree branch. I like the cemetery photo. I love exploring old cemeteries.